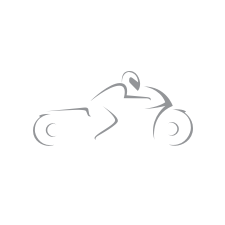 Shop Icon Hypersport Prime Leather Jacket Online in Canada @ GP Bikes! The Icon Hypersport Prime jacket is the elite performance garment of the ICON line. The Hypersport Prime chassis is constructed of multiple materials, each chosen for their unique performance properties. TrackSpec leather, integrated TPU shoulder & elbow caps, TechMesh ventilation panels, and comfort molded neoprene cuffs and collar all play their part in the Hypersport Prime construction. Extensive Unit-Fused construction on the back fuses TPU plating onto a 3D airmesh panel, allowing for reinforced ventilation. A full D3O package, elbows fitted with three-position pockets that allow for proper impact protector placement. The Hypersport Prime also features Icon’s new SportCuff, designed for ease of use, reduced cuff bulk, and enhanced wrist articulation. is this jacket good for a serious motorcycle rider? does it have the protective armour to ensure little injury if you fall if a motorcycle? Following is from the Icon web site.